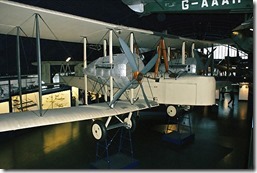 Born this month in 1903, powered flight matured quickly during its adolescence that ended with World War 1 in 1918. That conflict was a period of accelerated puberty for aeronautical technology that in 1919 marks the beginning of aviation’s modern era. 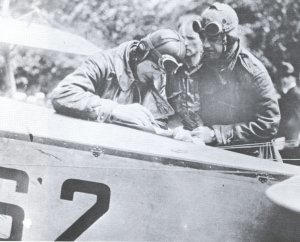 A few weeks later, in June 1919, John Alcock and Arthur Brown made the first nonstop transatlantic flight in a modified World War I Vickers Vimy bomber. Their accomplishment didn’t qualify for the prize because they flew from St. John’s, Newfoundland to County Galway, Ireland, not New York to Paris. It did net them the £10,000 prize, awarded by the Daily Mail, a London newspaper. Two weeks before Alcock and Brown left Newfoundland, about the time that Orteig was writing the Aero Club of America, a U.S. Navy Flying Boat, the Curtiss NC-4, commanded by Lt. Commander Albert Read, made the first transatlantic flight. 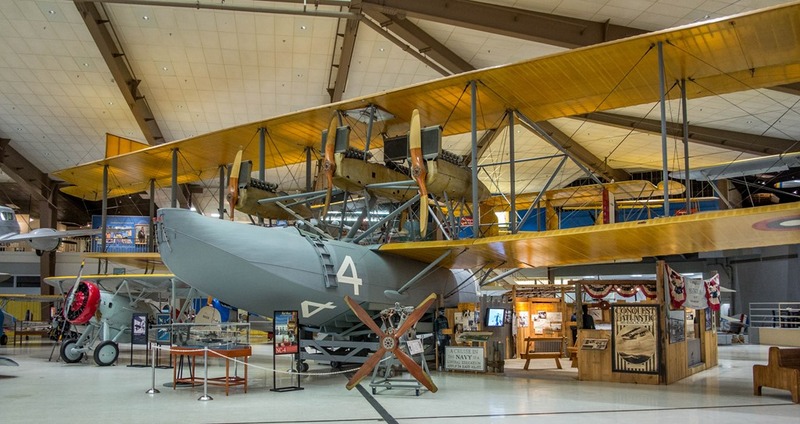 With a crew of five, it took the NC-4 23 days, and six stops, to fly from Naval Air Station Rockaway, New York, taking off on May 15, arriving in Plymouth, England, on May 31, after stops in the Azores, Portugal, and Spain. The flight of NC-4 didn’t qualify for the Daily Mail prize because it took more than 72 hours, the award’s time limit, and because more than one airplane participated in the flight. 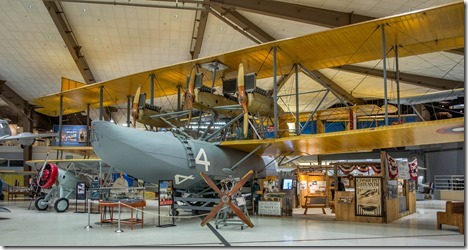 The other planes in the section, the NC-1 and NC-3 didn’t survive the attempt (and the NC-2 was a donor of parts that kept the other airborne), but the NC-4 is on display at the National Museum of Naval Aviation. Read, the NC-4’s commander, retired as a rear admiral and died at age 80, in Coconut Grove, Florida, just south of Miami. But 1919’s aviators weren’t all obsessed with the Atlantic. 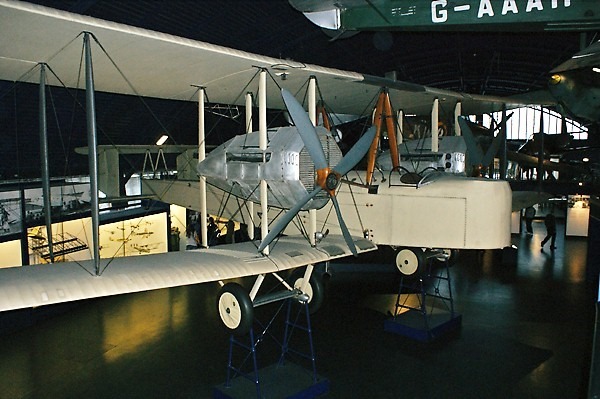 The RAF converted several of its DH-4s to begin carrying passengers and mail from London on Paris on January 10, to support the Versailles Peace Conference. And Deutsche Luft Reederei began passenger flights between Berlin and Weimer on February 5, and scheduled flights to Hamburg on March 1. In 1926 it changed its name to Deutsche Luft Hansa, and then to Lufthansa in 1953. On April 15, the U.S. Navy decided to convert the USS Jupiter, a coal carrying cargo ship, into its first aircraft carrier, the USS Langley. One month later, the U.S. Post Office inaugurated its airmail route between Chicago, Illinois, and Cleveland, Ohio. On June 6, Canada established the world’s first national aviation authority, the Air Board. 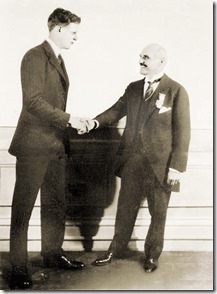 London opened its first airport, Hounslow Heath Aerodrome, on July 1. This entry was posted on Monday, December 3rd, 2018 at 8:00 am	and is filed under Airlines, Airports, Aviation History, General. You can follow any responses to this entry through the RSS 2.0 feed. Both comments and pings are currently closed.